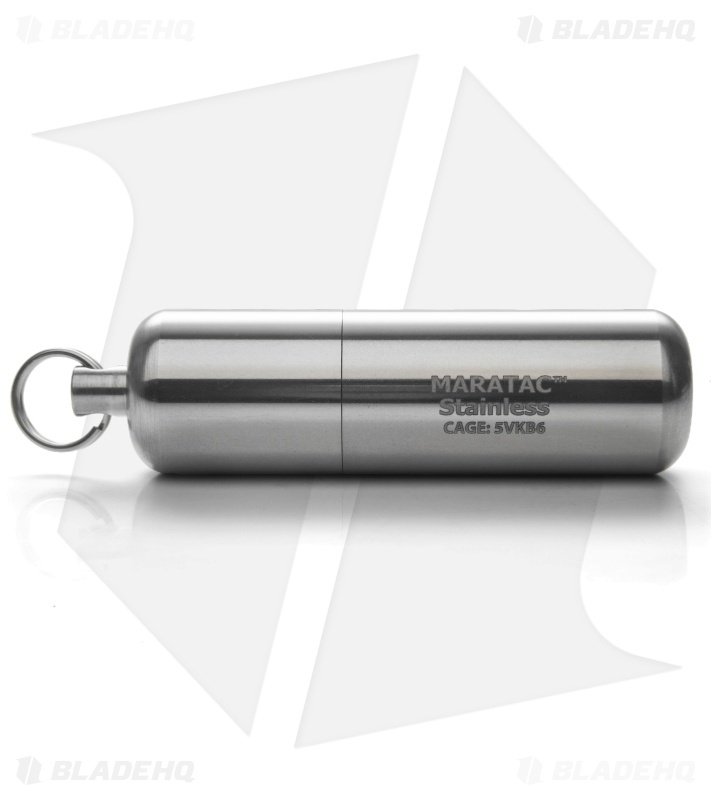 This Maratac Peanut Lighter XL is made of 300 series stainless steel with a threaded and o-ring sealed cap so you can store it for a long period of time without the fluid drying out. These lighters use standard liquid lighter fluid that you will need to add on your own. My insert is annoyingly loose, but the machining is super clean. Love it already. 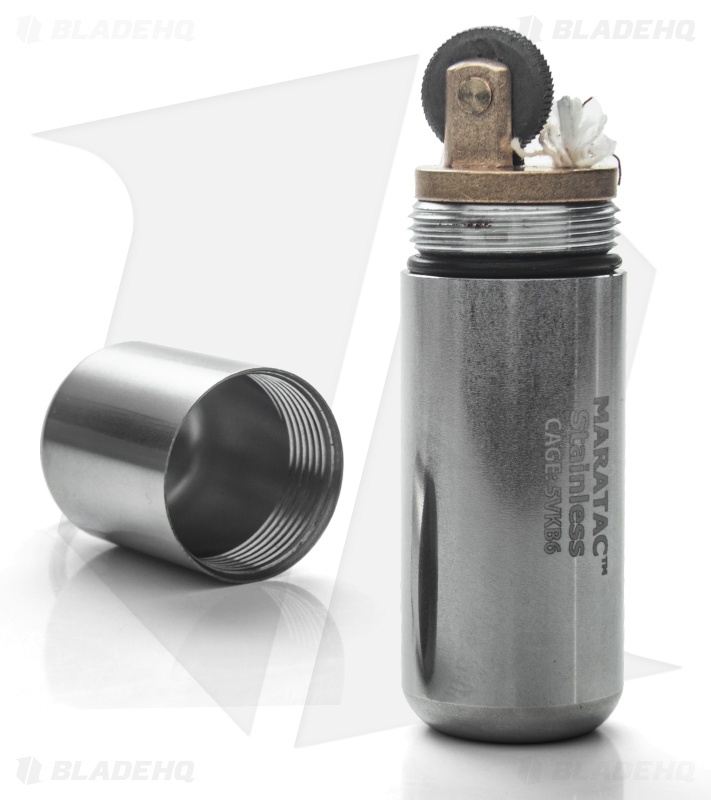 Simple and rugged design you can rely on. This is much larger than the peanut ones, of which I own three. So it can hold a lot more fluid. Not that heavy. I have bought 3 XLs and 5 Lgs of the Peanut for Family & friends. I prefer the SS over the titanium, brass, or copper because we spend a lot of time in & around water. If you drop it in the Lake, a strong magnet will do the trick. The Lg. 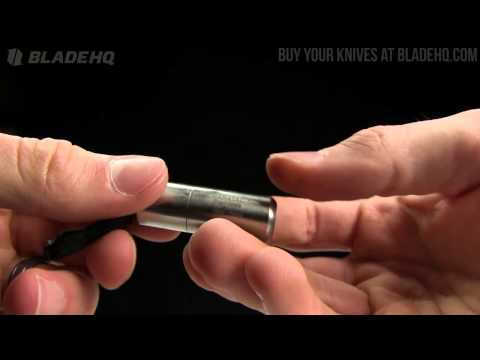 is a better weight for everyday carry, but the XL is better for your Tackle Box, Bug-Out Bag, or Glove Compartment. I still carry my XL in my front pocket every day. Just saying! I am not giving this product a bad review, but a warning to read the specs carefully and compare the weight to something you are familiar with before ordering this particular model. I looked at dimensions carefully. I didn't think 2.77 oz was heavy, but it is. Very heavy. Definitely not suitable for everyday carry for me. 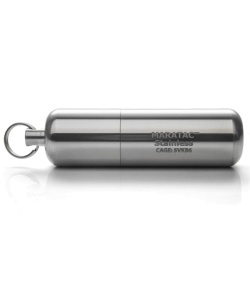 I will most likely give it to a friend and order the titanium non-xl model.